What. A. Week… Actually, hectic can’t describe my last 2 weeks with school starting for the kiddos AND myself! Early mornings, hustle for more school supplies that you somehow missed, orientations here and there…. my head has been on a spin cycle – hence, the absence of entries on here. Do you have any quick meal go-to’s? I find that when entertaining, having a couple of perfected recipes are the best! If I’m having a few guests over, a frittata would be the business, but since it’s just Hubby and his comrade, I decided on a quick bagel spread with fruit and juice. 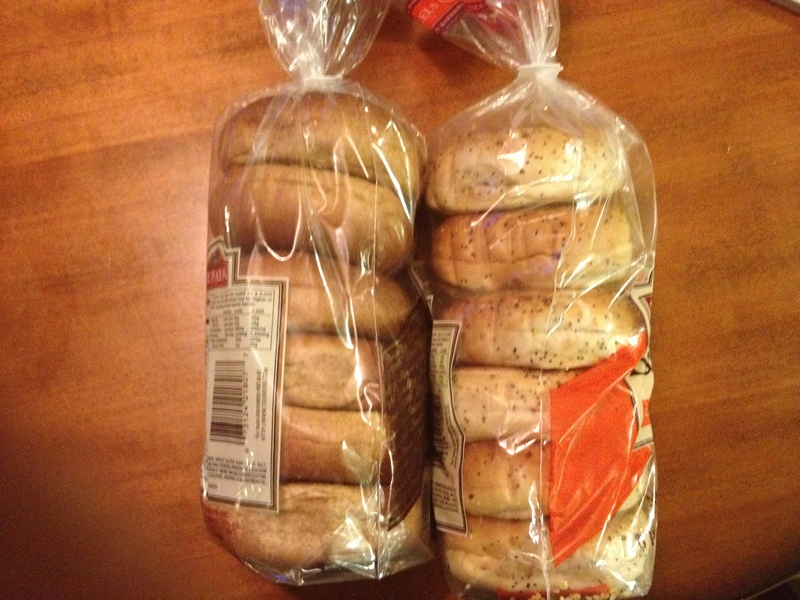 This was easy enough, but it’s not about just slapping some bagels and cheese together… you gotta make it special! I’ve incorporated some veggies, two kinds of cream cheese, and a some lox to be fancy with it, but you can use whatever you like… the choices are endless! Just make sure the ingredients used are good quality. 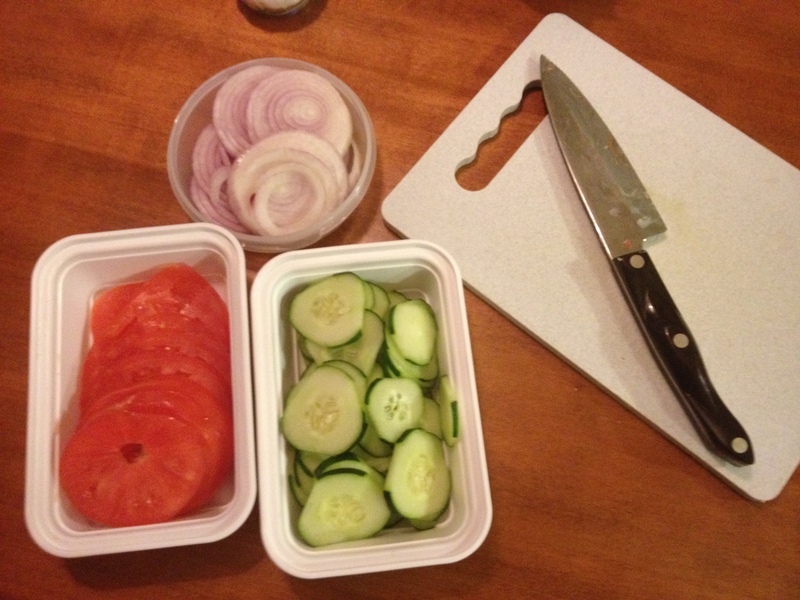 Prep the night before – I sliced red onions, cucumbers and beefsteak tomatoes and stored them in tupperware. 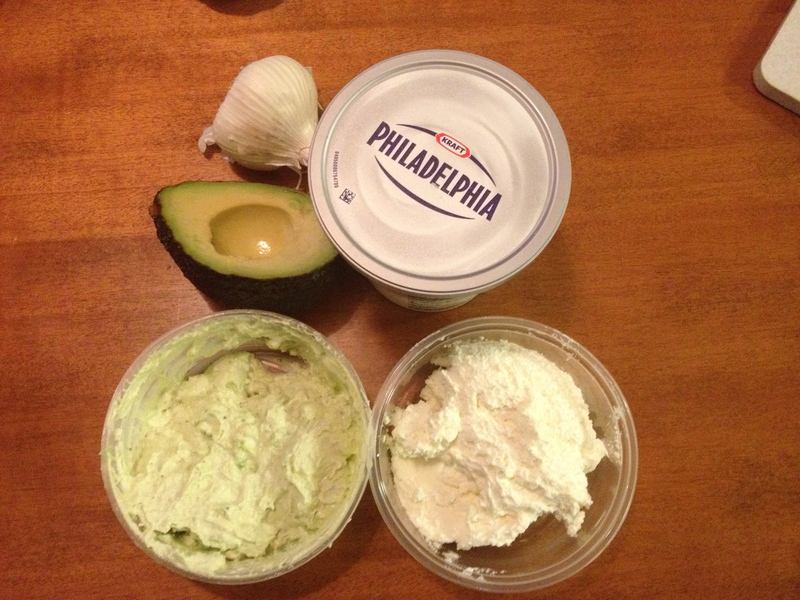 I made an avocado and garlic cream cheese, (1/2 avocado, 1 small clove of minced garlic, a good squeeze of lemon juice) and transferred it and the plain cream cheese into smaller containers. 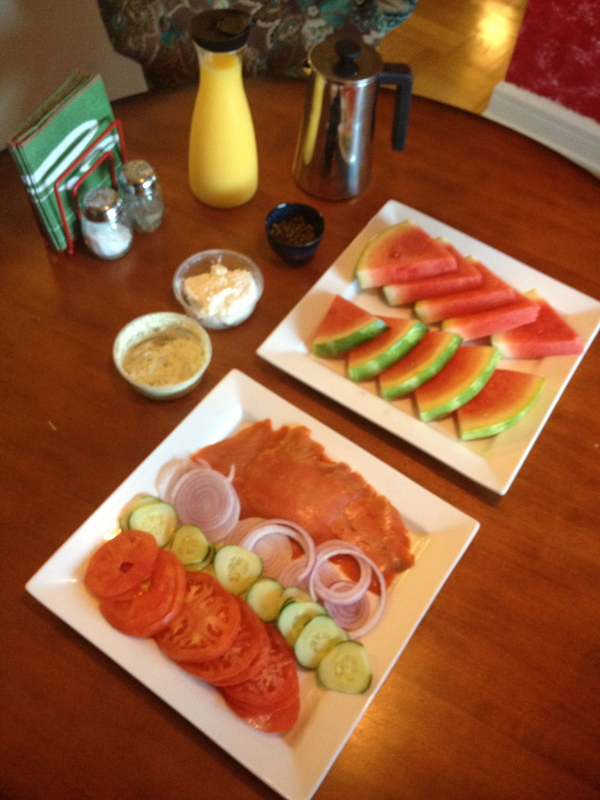 Arrange everything on the table where your guests can help themselves – I’ve added a melon platter, capers, orange juice, and coffee brewed in a french press -the only way to brew coffee, in my opinion! Note that everything is transferred to small, attractive containers for appearances… which is half the battle of entertaining! Previous Be Sweet to Your Feet Next Back on the Block! Found your blog through The Blogging School and wanted to check it out! 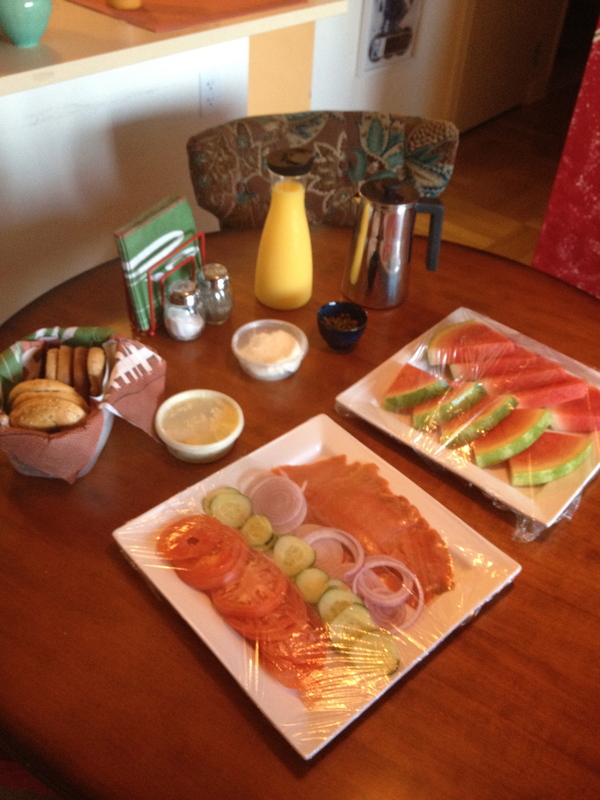 I love this post about a quick breakfast spread. My boyfriend and I are always making a quick spread of things we have in the fridge. And, they always turn out fabulously!! Love the look of your blog. And, especially love the format of your blog posts — use of bold, pics, and subheadings!! Brilliant! Easy and delicious. I think I’ll do this for Alexandra’s 18th birthday breakfast on Tuesday. Thanks, cousin!